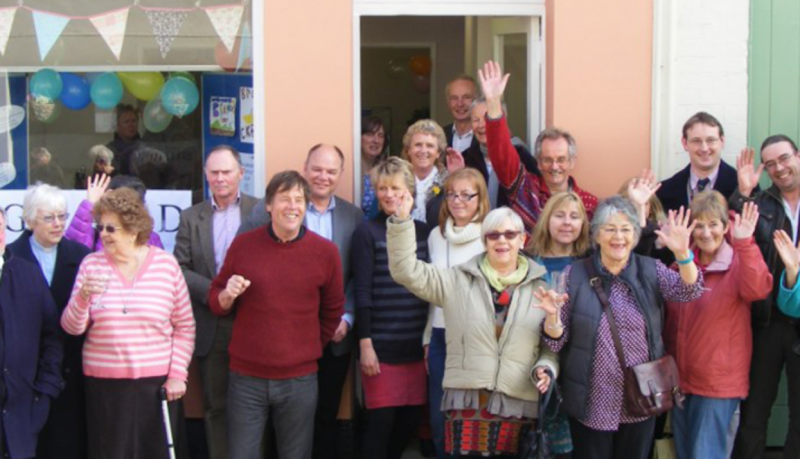 Cornish community opens new village hub after receiving loans from Co-operative & Community Finance and The Co-operative Loan Fund. A group of locals from the Rame Peninsula in South East Cornwall came together to found The Peninsula Trust on 19 March 2014, with the aim of supporting their community. Exactly one year later, they are celebrating the opening of their new community hub – The Rame Centre – in Millbrook Village. The trust currently has 350 members – 10% of the area’s population. In September 2014, they launched a community share issue which raised £24,400. This money, combined with loans from Co-operative & Community Finance and The Co-operative Loan Fund, was used to buy the large semi-derelict building in Millbrook Village. This new hub marks the beginning of their ambitious plan for community development and engagement. After some renovation and redecoration, the building opened as The Rame Centre on 19 March 2015. Val Gregory, one of the trust’s first community investors, was there to cut the ribbon, along with Co-operative & Community Finance’s Ian Taylor. This project has been so fast paced and people are really excited about it – we’ve got volunteers and supporters pouring into the building already, which is absolutely unreal. The loans we received from The Co-operative Loan Fund and Co-operative & Community Finance have helped us to create a fully sustainable community hub which will last long term. The Rame Centre will be home to a variety of community services, including the local credit union, council-led IT courses, citizens’ advice, a retail space and the local food bank. The yard at the rear of the property will house a new Peninsula Trust initiative dubbed ‘Made in Rame’; a collection of work units which will be rented to small, local craft businesses. Extra income will be generated through the rental of two flats in the upper floor of the building. This is the third project that Co-operative & Community Finance has lent to in this small enterprising community in recent years. In 2012 a disused bank building was bought and refurbished for a local development trust, and in 2013 a new pontoon was installed for the fishermen’s organisation. 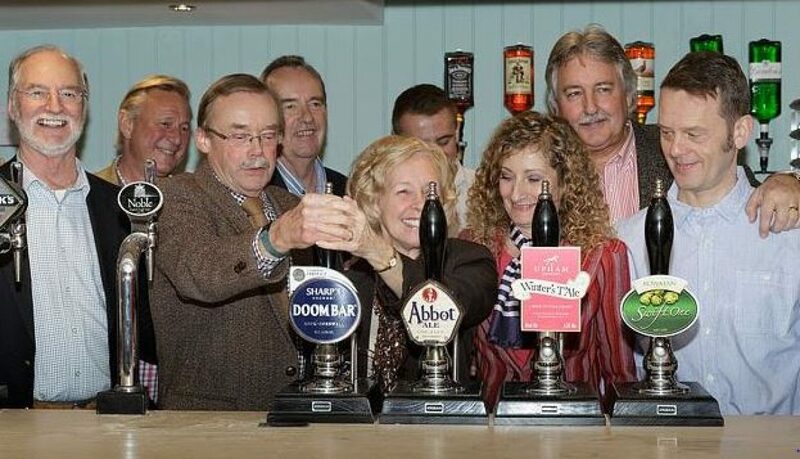 In December 2014 The Fox and Hounds in Denmead on the outskirts of Portsmouth reopened under co-operative ownership after it had been derelict for over two years. The local community raised nearly £500,000 to buy and refurbish the 150 year building. The community share issue attracted £326,000 from 190 investors and the remainder came from loans from Co-operative & Community Finance and The Co-operative Loan Fund and a grant from Solent Local Enterprise Partnership. Locals were dismayed when the pub closed in April 2012 and the owner applied for planning permission to demolish the building and erect private dwellings. They opposed the plans and eventually succeeded in having the pub registered as an asset of community value. As a result Winchester City Council refused planning permission and the way was clear for the community co-operative to make an offer to purchase. The sale was completed in July 2014 and then the extensive refurbishment began – almost everything had to be replaced. Rob Stark, one of the directors of the community co-operative, said: “It’s been a long haul since we started the campaign to save our pub in April 2012. We didn’t decide to be a community co-operative until nearly a year later. It’s a relatively new idea and it was hard to get the advice we needed. The co-operative decided that it would be best to have the pub run by tenants and has engaged an experienced couple who had already run a successful pub and restaurant nearby as tenants. In addition to his skills as a landlord, Stephen Pratt has a reputation as an Elvis impersonator. The co-operative is run by a voluntary board of five directors and local members also help with specific tasks to improve the venture such as gardening. Ian Rothwell of Co-operative & Community Finance said: “This community group had to jump a lot of hurdles to get here. The owner was hostile, they received some poor advice and some funding didn’t materialise. When they contacted us for a loan they were delighted by how straightforward it was. I think the Fox and Hounds is going to do very well.